The Problem: Current events across the Middle East, Africa, and Europe bear witness to how ongoing violent civil conflicts plague global security interests, in spite of efforts of domestic and international communities to control and resolve them. Recent experiences in Afghanistan, Iraq, and Syria make it clear that policy and practitioner communities need to better understand how conflict dynamics co-evolve with third-party interventions, and how intervention strategies affect long-term conflict settlements. The interactions among complex interventions involving dimensions of security, humanitarian aid, and economic development are of particular concern. My research addresses the question: What types of complex third-party interventions in armed civil conflict are most likely to lead to stable outcomes that ultimately improve human security, and what are the conditions, commitments, and sequencing necessary for those outcomes to be realized? My Approach: Most studies on impact of interventions in civil conflict approach the question from one of several perspectives – peacekeeping and military operations, humanitarian aid, diplomacy, or development – generating different conclusions and explanations in the process. 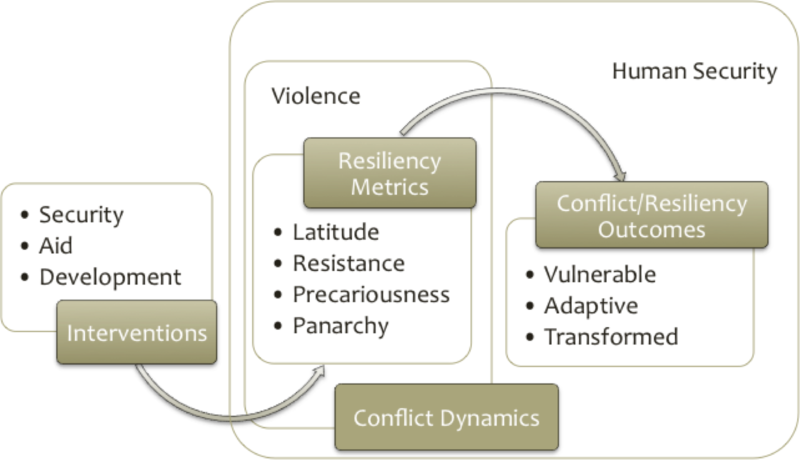 My research applies an integrative framework of resilience and human security that incorporates these perspectives in the paradigm of complex adaptive systems. Socio-ecological research has shown that resilience (or lack thereof) in complex systems can explain responses and outcomes to chronic stressors and disruptions. My research explores hypotheses relating resiliency metrics as intervening variables to the impacts of complex interventions on conflict dynamics and outcomes, where conflict dynamics are evaluated as levels of violence and human security, and conflict outcomes are evaluated as equilibrium states achieved at different points in time. 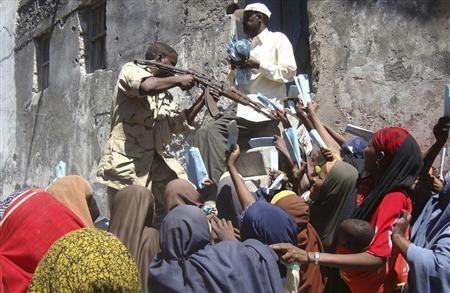 My case study is on the conflict in Somalia. 1) provide policy makers within donor countries and organizations with alternative conceptualizations for designing and evaluating complex interventions in civil conflict that involve sequencing and layering of peace operations, humanitarian aid, and development; and understanding the trade-offs and dynamics between local-level and national level actions.